Sleep is a necessity, whether we like it or not. Getting a good night’s sleep means will put you in a better mood, give you more energy and help you to think more clearly. While some of us can sleep just about anywhere, others struggle with falling asleep in new places. Even more problematic, some of us have restless nights while in our own familiar beds, or take a long time to get to sleep. Whatever your sleep personality, there are a number of hacks that may improve your sleep situation. No matter what you choose to do, as with any habit, consistency is key for maximum effectiveness. These tips will give you your best shot at improving your sleep cycles, allowing you to be your happiest and most energetic self! Electricity has prolonged the amount of time we stay awake because of its artificial light. 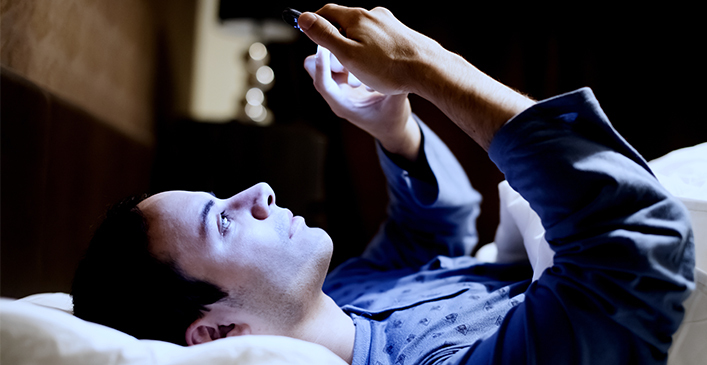 Blue light, which is emitted from many devices with screens such as laptops and smartphones, is especially invasive to the production of melatonin, the chemical in our brains that regulates sleep. Shutting off all electronic devices at least an hour before bedtime will allow our bodies to keep with our natural light and dark cycle resulting in better sleep.